Stewartry once again are finding 2019 is not going to be easy as they found Kilmarnock too strong for the Blacks a fourth defeat in four games since the start of the New Year. KILMARNOCK RFC 22pts STEWARTRY RFC 3pts. Stewartry kicked off and into touch so advantage Kilmarnock from the start. The muddy pitch did not allow for a free flowing game as both teams got stuck into each other both sets of forwards playing a pick and drive as the home side were first to show with Stewartry’s Austin making a try saving tackle. Stewartry started kicking for position but it was Kilmarnock who had the advantage in the lineouts. Twenty minutes gone and Stewartry’s Boyd received the first yellow card of the game. Killie changed three forwards in the scrum and the extra man gave Killie the chance for a first try out on the right . The conversion was added 7-0 to Kilmarnock. The restart kick went short and a Kilmarnock player was hurt in the foot rush with a neck injury which saw him out of the game. Stewartry hit back with the front five driving deep into the Killie half them winning a penalty from a scrum win against the head. Craig Mosey kicked the three points 7-3. A touch down over the Stewartry try line by captain John Fingland saw the Kilmarnock winger collect a yellow card for having a go at Fingland as he went for a quick restart. A second Mosey penalty bounced of a post and Killie cleared their lines. Stewartry pressed the Kilmarnock line leading up to half time but could not break through the strong home defence. Half time 7-3 Kilmarnock. Both teams were back to full strength in the second half with Jamieson coming on at prop for McMorran. The game continued with both teams cancelling each other out Boyd after his ten minute break in the first half made forty metres with an interception and chip into the Killie 22. Killie’s luck turned at the next attack when the ball popped out from a ruck on the Stewartry line and just needed pick up and touched down for a second try. The conversion was missed.12-3 Killie. Two minutes later and it was game over as Killie scored a third try against a tiring Stewartry team charging through some poor tackling. 17-3. Ten minutes to go and the referee dished out a further two yellow cards for a bit of a skirmish in the Stewartry 22 one for Kilmarnock and one for Stewartry’s Taylor. 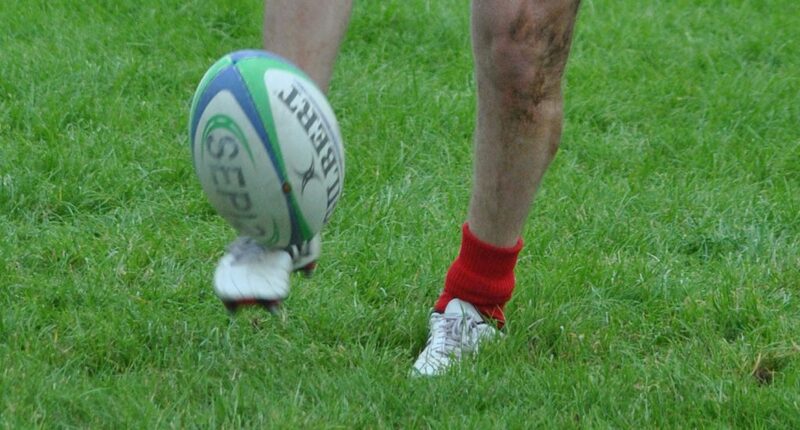 Kilmarnock added a fourth bonus point try with two minutes left for a comfortable 22-3 win a tenth win over Stewartry in eleven league games played at Belsland since 1994. The Scottish Club Tennent leagues finish for two weeks with the start of the Six Nations this weekend .Stewartry’s next game is at home against Dalziel on 16th February kick off 3.00pm.